Visit our Cucina di Rosa Salumeria and Outdoor Pizza Kitchen, which pays tribute to our Italian heritage while engaging guests in the pleasure of food and wine. Try our Salumeria’s handcrafted cured meats and artisan cheeses or wood-fired pizzas enjoyed seasonally on our lawn. Music in Tasting Room: Music from contemporary to the classics will play, to enhance tasting ambiance and create a lively-yet-intimate experience. Food Available: Cucina di Rosa pays tribute to our Italian heritage while engaging guests in the pleasure of food and wine. Try our Salumeria’s handcrafted cured meats and artisan cheeses or wood-fired pizzas enjoyed seasonally on our lawn. To join the wine club, visit www.charleskrug.com or call 707-967-2229. Exclusive access to vintage library wines, wine club events and barrel tastings. Club ships four times a year, three bottles per shipment. Average cost before tax and shipping is $150-$275 (price varies by club level). Shipments include the newsletter, Bottles & Bins. 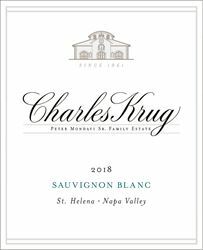 Charles Krug extends an invitation to Napa County residents for a 10% discount on wine purchases. Please present a valid form of identification upon arrival. Our Tasting Room hours are 10:30 to 5:00. Charles Krug is certified under the Napa Green Winery Program by the Napa County Department of Environmental Management (DEM) and the Association of Bay Area Government’s (ABAG) Green Business Program and completed all the regulatory components needed for environmental sustainability. These components included developing water and energy conservation methods, preventing pollution, and reducing solid waste. In addition to developing sustainable winery practices, this program is set to become the standard for the state of California. Charles Krug is certified under the Napa Green Certified Land Program. Charles Krug has created and implemented a customized farm plan with measured results that addressed all aspects of its property, vineyard land as well as non-farmed land, including practicing soil conservation, water conservation, stable drainage, riparian corridor enhancement, fisheries and wildlife habitat enhancement and long-term improvement and sustainability.